Keep one box in your pantry, garage, car, or anywhere where you may need a bag for cleanup. 1000 pickup bags on a single roll. Bags dispenses from the top opening of the box. Bags separate easily from the top opening! 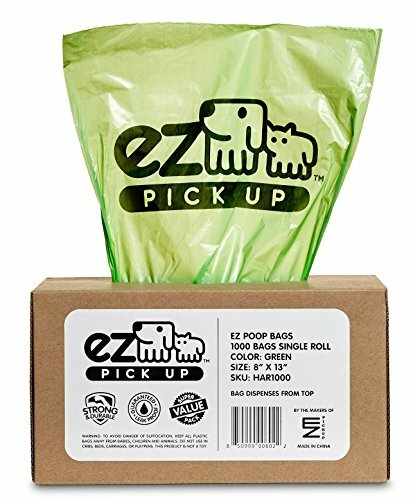 These EZ pickup bags are too big to fit into waste station dispensers, designed to be used straight out of the box only. Also great for dirty diapers and cat litter. 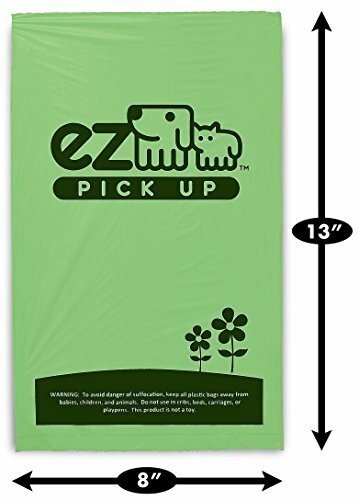 Leak proof, extra thick pickup bags. Great for cat litter.